Breakaway Vision is the simplest and most reliable point-of-sale management system available for delivery and quick service restaurant operations. Breakaway Vision streamlines every aspect of your operation, including order taking, credit card processing, kitchen management, deliveries, inventory, and customer marketing, to make your business more efficient and profitable. Originally released in 2000, Breakaway Vision is a 100% Windows-based system that provides a full range of capabilities for your store operations. The system is designed to provide everything from store operations to business management and analysis to customer relationship management and direct marketing tools. Click here to learn more. 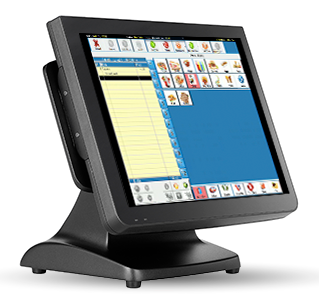 Breakaway Iris is our streamlined HTML5 online ordering system for our Vision point-of-sale system. Changes made at your store level can be replicated to the website with ease! Stop struggling with these companies that make you enter everything online independently from your Point of Sale system. With Iris and Vision you will only have to make the updates in one place saving you time, money and headaches. Enter Breakaway IRIS (Internet Relay Input System) with its seamless integration with your stores local database. We can go from a blank website with no menu items to an entirely populated working menu in under 5 minutes! From this point you are able to change titles and descriptions on items to be more web friendly through our easy to use menu management system. Click here to learn more. Breakaway InSight Enterprise is a corporate communications portal and data warehouse for your multi-unit restaurant organization. Collecting, synthesizing, and communicating vital business information across your organization is a major challenge. InSight, Breakaway's Enterprise Reporting solution solves this by offering easy access to all of your restaurant data through a secure, web-based interface from anywhere in the world. Breakaway InSight provides a business operation decision support and disaster recovery all in one affordable package. Access individual, consolidated and comparative management reports by seamlessly connecting all of your restaurants using Breakaway Vision point-of-sale solution. Click here to learn more.